Parker had her Thanksgiving feast at school last week. Each class had their own....and I think their's turned out pretty well! Lots of good food (that I did not get a picture of) and some really cute crafts. I think Parker's favorite part was this turkey shaped brownie that one of the moms brought. She just baked them in a cookie sheet and cut them out after cooling. I've never thought to do this! Like I said- I didn't get many pictures, but wanted to document the few I had! She'll only be in preschool once! Haha! Cute brownie!!! The first picture cracked me up, the little girls face in the background... HAHA! But, it is a good picture of you and Parker!! Very good pic of you and Parker! 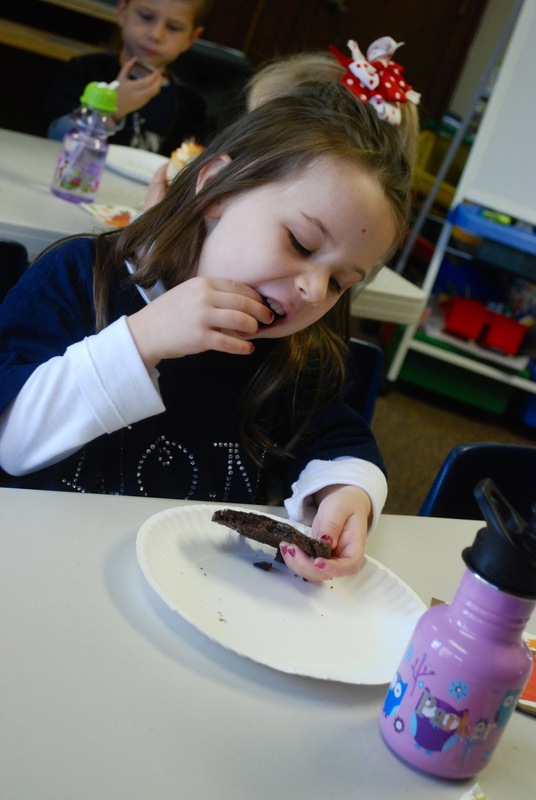 I love the way she's intently looking at the brownie while eating it!